We are all probably still reeling from the tragic outcome of the latest Supernatural episode, written by Eugenie Ross-Leming and Brad Buckner and directed by Robert “Epic Zoom” Singer. Even if some of us saw it coming, in the many foreshadowing moments leading up to Dark Dynasty, it was still a shock to see it actually happen on our screen. Most stories, especially in the horror/fantasy genre, will see characters die of course; beloved characters, important characters and even favorite ones. Death and loss is often what drives the plot forward, motivates the players, or shocks the viewer out of complacency. We need to feel that there is something at stake, something to be lost, and often that comes with great sacrifice. The deaths that hit us the hardest, and that have the most impact, are the ones of the characters we feel invested in; the structure of the narrative will set it up just so. If nameless red shirt number three bites the dust, we all shrug and move on, but when Spock sacrifices himself to save his friends, well, then we are gutted. If the one who dies also happens to be your way into the story, then such a death can even be a deal breaker. 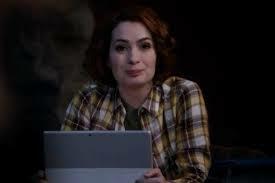 I will come back to this more later, but I myself wholeheartedly feel that Charlie Bradbury (Felicia Day), nerd extraordinaire and fierce ally to the Winchesters, died a hero’s death. She made her own choices up until the end and she never backed down. Charlie cracked the code; she completed her quest and went out on her own terms; for the ones she loved. When we pick up the story from last week, we see Sam get more and more impatient with Rowena (Ruth Connell), still shackled and making slow progress decoding the Book of the Damned. It turns out that the decoder-Codex has it’s own cipher and Sam decides to call in Charlie for some help. He also asks Cas to come and baby sit the two women. This means Sam has to come clean to both of them that he is keeping even more secrets from Dean, which does not go over well. In the end all reluctantly agree that this may be their best choice at the moment and decide to help Sam, “for Dean”. Even though the sentiment rang true, this moment was only rescued from total cheesiness by Ruth Connell’s priceless “I hardly know the man”, when it was her turn to declare her motivation to the group. Dean, in turn, is getting suspicious of Sam’s frequent absences from the bunker and his many mysterious phone calls. We have been getting far too little indication that Dean keeps “getting worse” under the influence of the Mark of Cain, with too much left to declarations of it being so, rather than actual demonstrations, but I must say that Jensen Ackles had some chilling moments in this episode. He allowed glimpses of Demon!Dean to come out as the inevitable confrontation between the brothers built, and the barely hidden menace was a subtle acting feat. Bored and itching for a fight, Dean researches the Styne family, introduced to the Winchesters and us a few weeks ago in The Book of the Damned. A case involving the death and mutilation of a young woman happens to bring the Stynes back on Sam and Dean’s path when security footage of the fleeing suspect shows a familiar tattoo of the family’s crest. If I had spotted the Easter Egg hidden in The Book of the Damned regarding the origin of that crest, I may have been spoiled for the reveal that was to come, but as it was I had no idea. We get to meet Monroe (Markus Flanagan) the patriarch of the Styne family, as he chews out his son Eldon (David Hoflin) for bungling the body part harvesting mission that left all that evidence for the Winchesters to find. Monroe sends his brood back to clean up their mess, recover the Book of the Damned and take care of the Winchesters and that pesky red headed girl, once and for all. I have issues with how incompetent some of our friends appear to be in this episode. Dean never spots Elwood Styne following him, he gets ambushed far too easily, and once Styne is captured and brought back to the bunker, the boys decide to shackle only one of his arms? Is the only other set of chains in the MOL bunker around Rowena’s wrists at the moment? Also, boys, next time please make sure to actually tighten the cuff; I am not sure why Eldon had to rip his arm off to escape because on rewatch, it looked loose enough to fit at least both arms at once. As Sam is once again called away by a desperate phone call from Cas, who is having trouble keeping the peace between Charlie and Rowena, Eldon decides to reveal the history and true identity of the Styne dynasty. Now I know that bad guys are often much too chatty about their plans, but I found it particularly unbelievable in this case. I don’t have that much of a problem with who the Stynes are revealed to be, but I do have an issue with how it was done. Eldon explains that the family had been able to remain hidden for so many centuries, because of their intelligence and secrecy yet he proceeds to tell Dean Winchester all about their exploits and lineage, all before Dean can even land a blow. The Stynes are revealed to be direct descendants of the infamous doctor Frankenstein, experts in body enhancement and super powered by bioengineering. I have been intrigued by the potential of the Styne family as a big bad since they were introduced; a dark side MOL so to speak. I particularly like that they are humans, enhanced as they are, since it allows the story to step away from the tired heaven and hell dynamic. I also think that with the addition of the female mystical element of Rowena, the lost coven and all their stolen secrets, this could prove to be a compelling story. I am not as bothered as some are by the literary connection, since there is a lot of precedent for this on Supernatural; it has always been steeped in myth and lore and the revelation does not take away from its potential in my opinion. I do however think that it would have been much better to leave some of it up to the viewers’ imagination. The whole exchange, which was mostly set up to have Dean discover that the Book of the Damned is still around, was much too expositional and adding all that explicit detail ruined some of the Stynes remaining mystique. I also scratched my head a little at the contrivance of the conflict between Charlie and Rowena and Cas’ ineffectiveness the whole episode long. I did enjoy how Felicia Day and Ruth Connell made the most of the moments they had together, and both managed to make the differences and similarities between the two women, compelling. The whole situation was really a set up to get Charlie alone and in harms way. She makes the choice to sneak to a motel to work in peace, as Cas’ attention is with Rowena. Somehow Cas’s partially restored powers do not allow him to be helpful in locating her and he calls Sam, yet again. 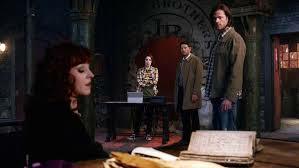 The truth about the Book of the Damned and Charlie’s involvement is now revealed to Dean and he is not happy. The Stynes find Charlie just as she cracks the code and as Eldon pounds on her door with his bloody stump (kudos SFX and VFX crew!) she hides in the bathroom, uploads her files and calls the boys. Both Sam and Dean implore her to give her attackers what they came for and to run away, but Charlie wants to get the information to save Dean to them and she stands her ground. When the Winchesters finally reach her, they find her bloodied and lifeless. Dean mutters her name as Sam gags from shock. Sadly, even though I understand that this tragedy will be what sends Dean into a dark spiral of revenge and violence and is meant to ramp up the story to its inevitable conclusion, it somehow failed to be the emotional punch it was set up to be. In and of itself, the death of Charlie Bradbury is plenty devastating, but as the climax of a story arc it somehow lacked and left many more angry than sad, it seemed. Perhaps it was at least in part that the episode itself had so many plot holes and contrived dialogue that left it feeling somewhat empty. 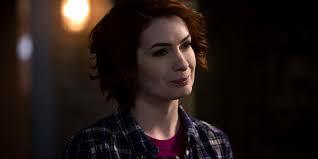 But hopefully this will not be the last we see of Charlie Bradbury. I can easily imagine her hooking up with Ash to crack heaven wide open and visit with all our dearly departed Supernatural friends; Bobby, Kevin, Rufus, Ellen, Jo, Mary, John; almost too many losses to contemplate. Death quite literally follows the Winchester brothers around. The preview for next week’s The Prisoner shows Dean chasing down the Stynes, after giving Charlie a hunter’s funeral. It seems that the monster-building dynasty may well be interested in the body parts of a hunter infected with the special powers of the Mark of Cain. Where will it all end? In more heartache, is my best guess. Charlie did not die a hero’s death. Her death was a disservice and the way she died was even worse. Some writers and the The Powers that Be wanted her character out, to what? To push Dean over the edge? 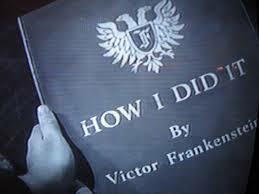 There were a multitude of ways to do that. More inventive ways. I also feel like they finally had a relationship with someone out side of Castiel and Crowely that meant something. Charlie’s character was like a little beacon of light into the boys lives. Oh god forbid! Someone that actually fits into their world. That was the brillance of Robbie Thompson and his writing.I get all the other deaths of beloved characters on the show in the past. This one though, leaves me scratching my head. I also understand it’s what SPN does, and for a show that’s always evolving and reinventing itself, maybe they should stop killing off all the great female characters that matter.